I wanted to crochet a blanket for a friend and coworker who was having a baby. 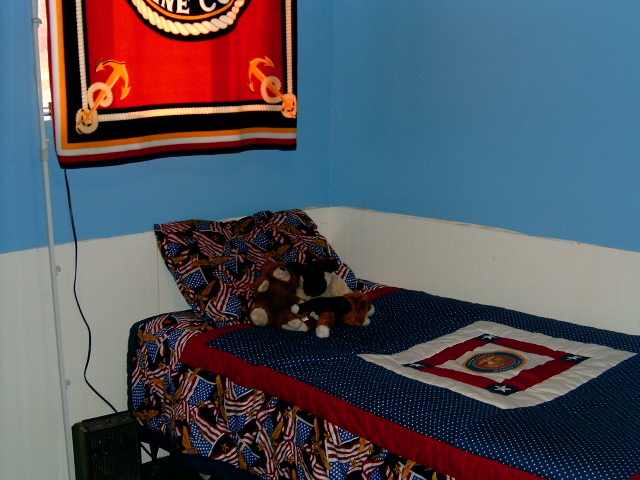 She and her husband decorated the baby’s room in Dr. Seuss characters, and the bedding was of the Cat in the Hat. My brain went wild with ideas of sewn-on or Tunisian squares of the cat, the fish in his bowl, and Thing 1 and Thing 2 with blue fun fur yarn for their hair. It would have been adorable – if it ever got done. I just didn’t have enough time before the baby shower. So when the soon-to-be mom mentioned that she liked afghans made of soft, thick yarns, I went with that. 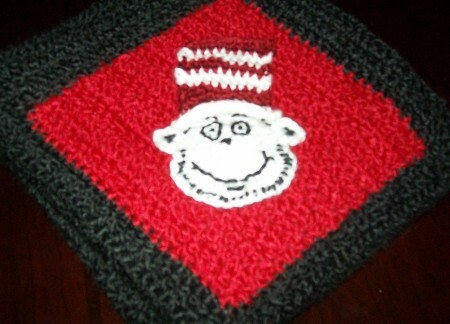 I had at first crocheted a Cat in the Hat head, so I sewed him onto one of the corner squares and added facial details. 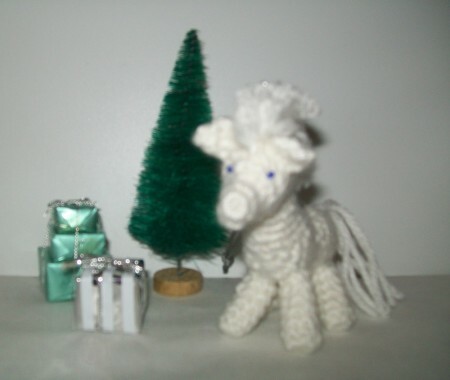 Luckily it worked with just one, because by that time I had forgotten how I had made him and misplaced my notes! It turned out pretty cute and cuddly. Maybe someday I’ll have a reason to make another with all of the characters in different yarns. It had been a while since I’d swapped anything through Swap-Bot, and I missed it. I just had to sign up for some Halloween and fall swaps. Halloween being my favorite holiday (tied with Christmas) and fall being my favorite season. 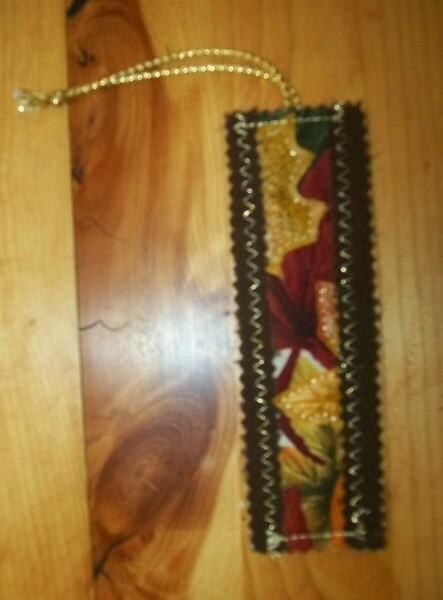 I signed up for a fall crafts swap, and got a partner who likes bookmarks. 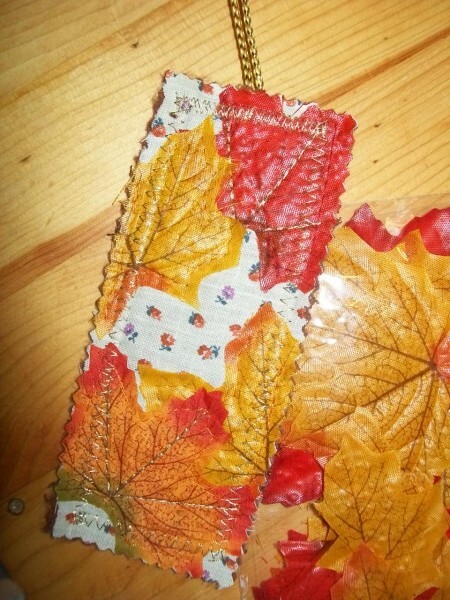 I decided to make her a fabric one with some fall-colored leaves I had. I ended up adding some sparkly gold thread for embellishment, and loved it so much I made a second one for another partner I had for a different swap. 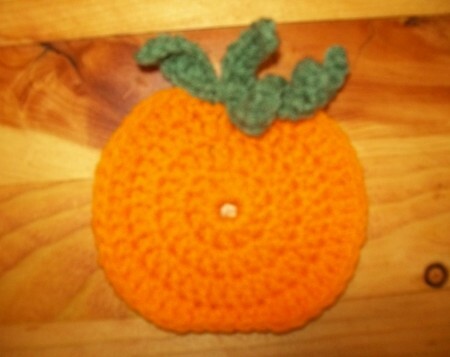 I needed to include two items for the fall crafts swap, and I wanted the second one to be something crocheted. My partner’s favorite color was orange, so I made her a pumpkin. 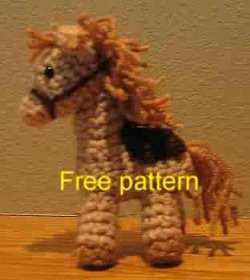 I used this free pattern with a few changes, and then added a stem, leaf, and curly vine. 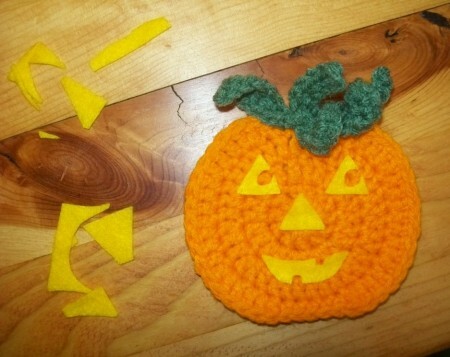 For fun I hot glued on a jack-o-lantern face cut out of felt. I found Adventures in Dressmaking a while ago, and have really been enjoying Suzannah’s posts. She and some other awesome bloggers are hosting a Nice to Meet You! series, and I thought it would be fun to participate. The question to answer is: What are six of your favorite things you’ve made? I may be new to blogging, but I’ve certainly made some things! I’ve never really thought about which projects have been my favorites though, so it has been a lot of fun looking back (and trying to find them so I could take some pictures!). Do you remember Strawberry Shortcake, the adorable 80s cartoon? Well, you should – ’cause I do! Strawberry was my favorite cartoon when I was a kid, so in high school I decided to sew a Halloween costume after her. From Hurricane High School year book, 2002. I’ve made other costumes since, but this is still my favorite. 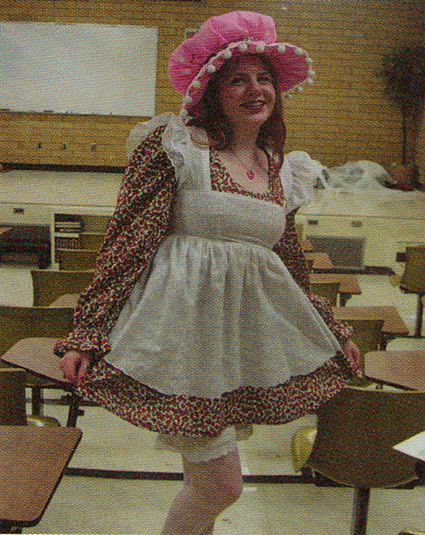 And over time I’ve added more pieces as I’ve found them, such as green- and white-striped tights and a curly wig. I even have strawberry tennis shoes with strawberry laces! 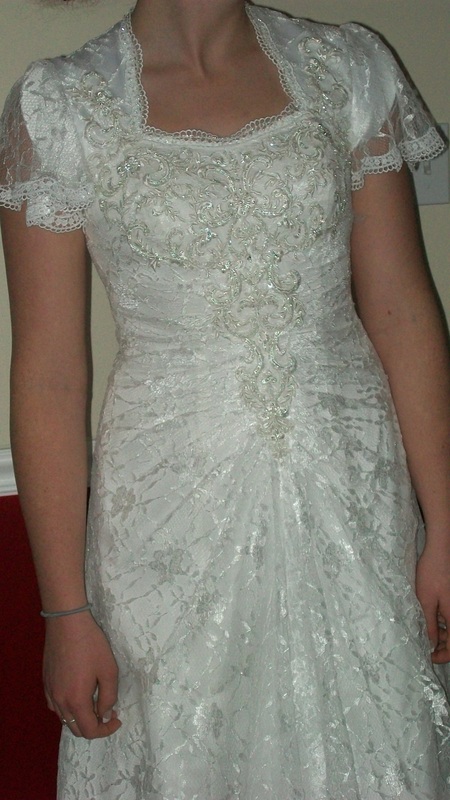 When my brother got engaged I was more than happy to help his soon-to-be-wifey with her wedding dress. She chose a gorgeous ruched lace gown. The only problem was that it was strapless, and she needed one with sleeves. I thought I’d probably be sewing a little jacket for her. Not at all! It took three snowed-in days of sewing, beadwork, and removing and reattaching appliqués. But it was worth it – she loved it and no one could even tell it had been altered! I’m quite fond of wizards. Merlin, Gandalf, Micky Mouse in Fantasia… Wizards are awesome. So when a coworker got upset about moving to MS Word 2007 and losing his little wizard assistant from the older version, I just had to make one. 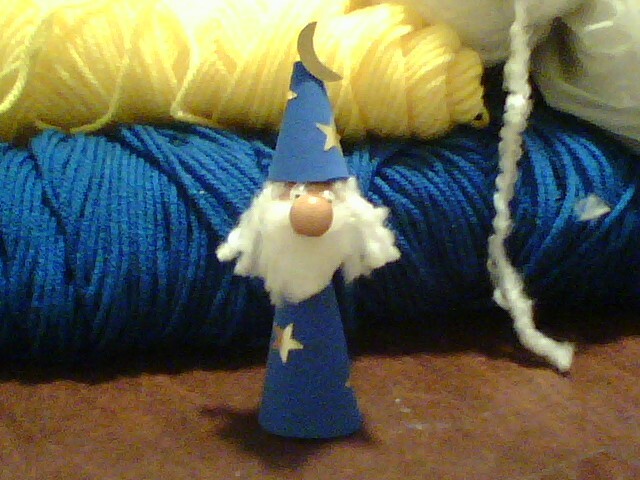 Isn’t he just the cutest little wood and foam wizard ever? When my first little brother to join the US Marines left for bootcamp, I wanted to make him a surprise gift for when he returned. 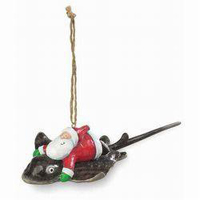 A sort of thank-you-for-being awesome, you-survived-the-torture sort of gift. He didn’t have a comforter for his bed, so I decided to make him a quilt. To celebrate his awesomeness, I made an iron-on of the Eagle, Globe, and Anchor for the middle of the quilt. And, of course, I had to make a matching pillowcase. I was, and still am, not a quilter, but I think it turned out pretty good. I decided to use the tapestry crochet technique, so I had to first make a chart. I wanted to make it of the Eagle, Globe, and Anchor again, so there was a lot of detail to work out in Photoshop. Once I got that worked out, I started to crochet. And boy, did I crochet! 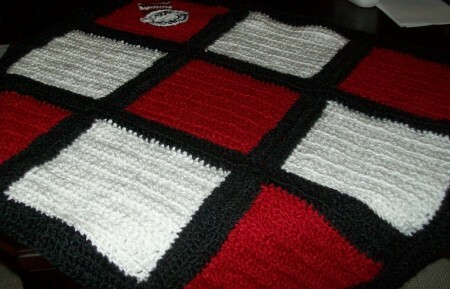 That afghan may have been my most time-consuming to date. Trying to keep the sides even was really difficult, and nearly drove me mad! 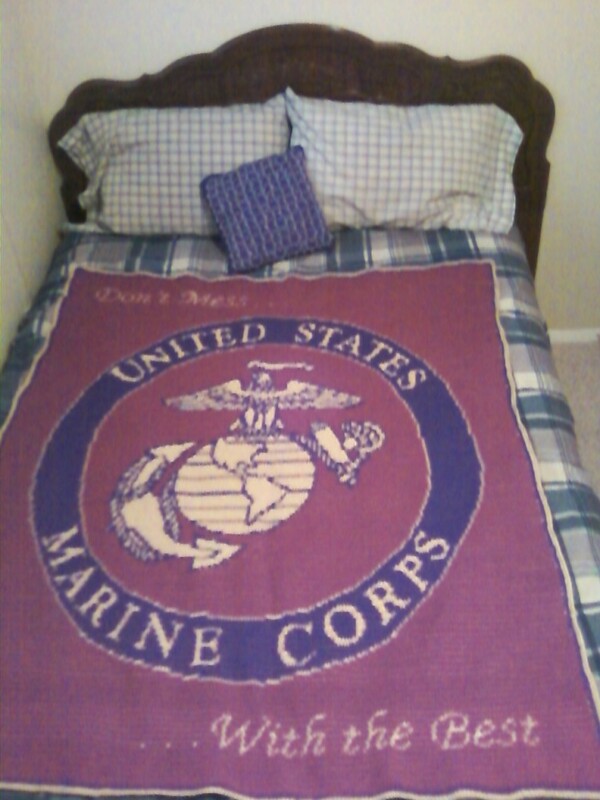 Needless to say, the poor guy didn’t get his blanket right after bootcamp, but I did get it done eventually. And it was SO worth it! Though I have been avoiding large projects in tapestry crochet with more than two colors ever since. 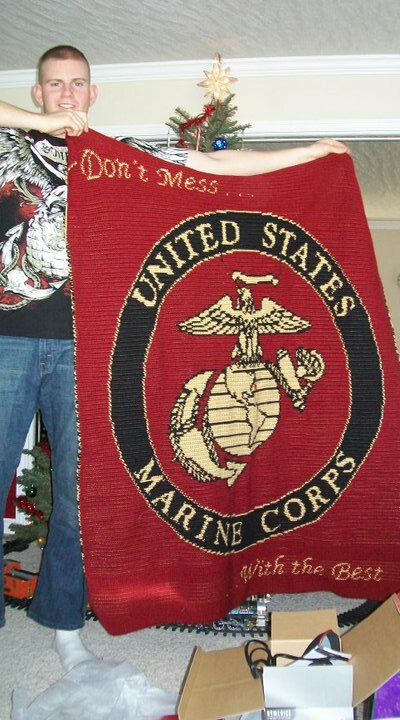 If you are interested in crocheting an afghan for a Marine in your life here is my pattern (chart only) as a pdf: Marine Afghan Pattern by the Sweet Seamstress. 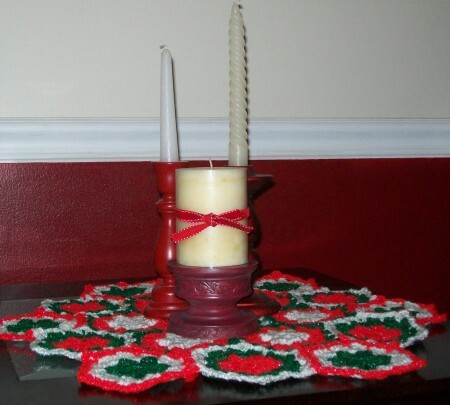 It is in tapestry crochet, which involves carrying the other colors of yarn inside single crochet stitches. The top reads “Don’t Mess…” and the bottom says “…With the Best.” Quite applicable for more than one reason. If you are/were in the US military, Thank You for Your Service! 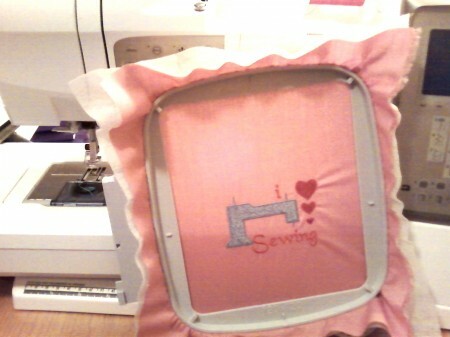 But I am excited to have more time to dedicate to sewing. Not only did I have fittings for two new dresses today (one a fill), but I have several other sewing and crochet projects I want to do (as well as some I still haven’t finished!). Plus, having more time will give me a chance to try making some simple tutorials. I’ve already started one for a fabric shoe-holder!